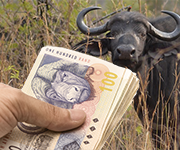 The R1m Buffalo That Died: A Lesson in Passing of Risk | Goldberg & de Villiers Inc.
Not always – in our law, passing of ownership and passing of risk are two different concepts, and although in our day-to-day lives they are normally simultaneous, sometimes they aren’t. A buyer becomes the owner of a movable only when it is “delivered” to him/her (be careful here – “delivery” is a much more complicated concept in law than you might think). 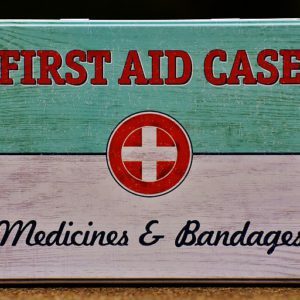 Relying on a verbal sale agreement is a recipe for disaster – dispute, delay, and the costs and frustrations of litigation. 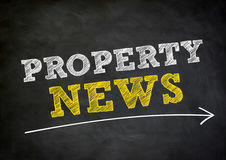 Rather have your lawyer record in a written contract, in the clearest possible terms, exactly what you have agreed to in regard to the passing of ownership and the passing of risk. 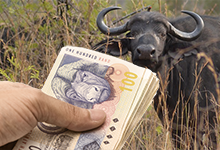 If you accept the danger of loss from a “high risk event” – such as sedating R1m worth of wild buffalo – you’d better have deep pockets. For advice, contact us on 041 501 9800.